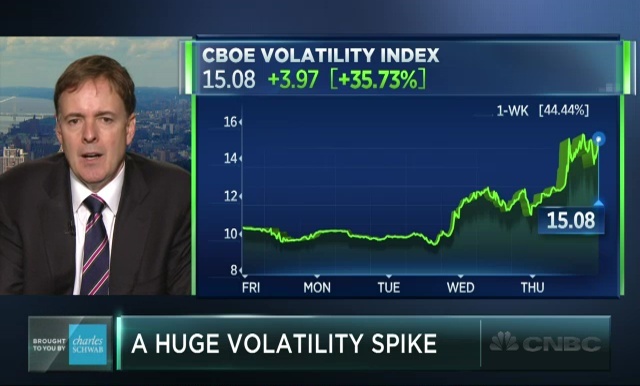 Why is the volatility index on such a tear? Larry McDonald of THE BEAR TRAPS REPORT and Chad Morganlander of Washington Crossing Advisors discuss with Brian Sullivan. 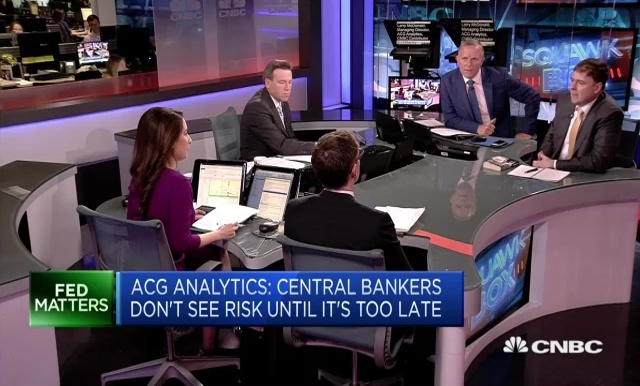 Fund managers are increasingly wary about central bank policy. 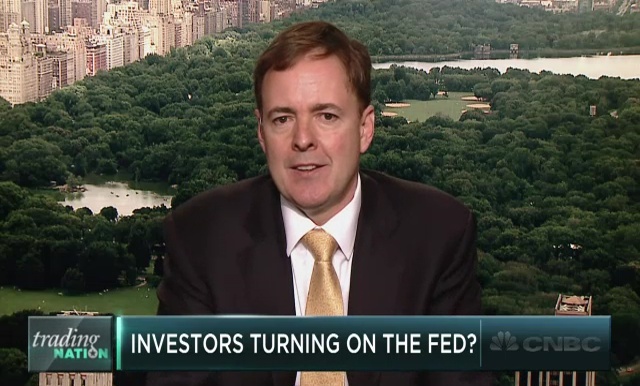 Larry McDonald of THE BEAR TRAPS REPORT and Boris Schlossberg of BK Asset Management discuss with Eric Chemi. 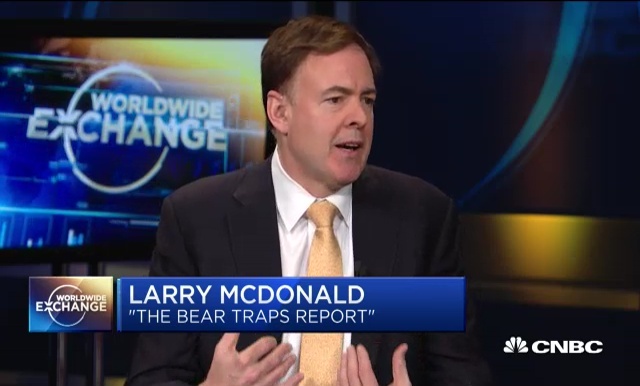 Larry McDonald, author of the “Bear Traps Report,” takes a closer look at yesterday’s sell-off after a volatile week on Wall Street. 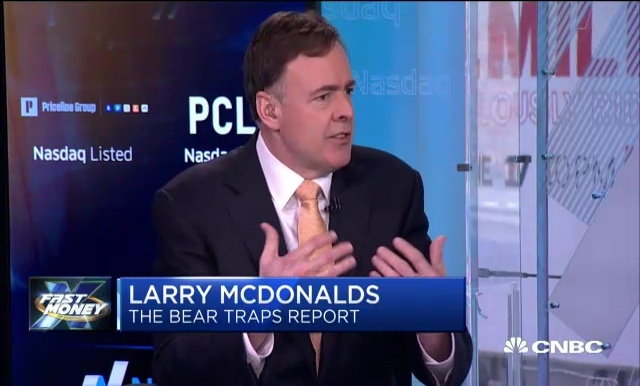 Larry McDonald, founder of THE BEAR TRAPS REPORT, and Randy Kroszner, former governor at the Federal Reserve, speak about loosening financial regulation in the U.S.